Amberlight Leisure Amberlight Leisure is a friendly, family company with a huge amount of experience in the entertainment business. With a combined total of over twenty five years in the world of leisure, we have a wealth of ideas and practical knowledge to draw upon. All family members have worked for many years on luxury cruise liners, entertaining and organising events for literally thousands of passengers of all ages and nationalities. Now back on dry land, with young families, we are continuing with our leisure roots and eager to give a first class, yet very personal service to our clients. All our products and support equipment have been professionally tested and insured and our operatives expertly trained, to ensure all safety procedures are followed. Amberlight Leisure strives for the best and hope you will give us the opportunity to prove it to you! Take advantage of our 'special packages' for Halloween, Bonfire Night, Christmas or any other special occasion, such as birthdays or anniversaries. Bouncy Castle, DJ, Disco, Hostess and Prizes! Pick & Mix! Early booking is recommended. 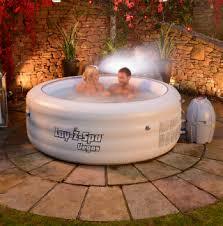 About us AMBERLIGHT LEISURE is a family run business. We consider ourselves to be honest, reliable, caring, hard working ............. and fun! We have many years of experience in the leisure and entertainment industry and take great pride in providing a friendly, fair customer service. Being parents of 'bouncy castle addicts' we also know what youngsters enjoy. Our castles are fully tested by the RPII (Register of Play Inspectors International) and we are members of BIHA (British Inflatable Hirers Association), together with TIPE (The Inflatable Play Enterprise). Operators are professionally trained in all aspects of safety. With our bouncy castles, hot tubs, parties and discos, we invite you to come and join the Amberlight family. We promise you a very warm welcome! Testimonials are curated by Amberlight Leisure and are not independently reviewed or verified. "'My grandchildren loved the bouncy castle. There was no fuss putting it up or taking it down and we had a great day'......Mrs S Nicholson, St Annes. 'The twins are still talking about the party. The music was perfect for their age group and the games and prizes great. Many thanks and see you again soon'......Mr & Mrs Caitlin, Lytham"